How to Clean: Wash frames and screens first. Spray with Glass & Mirror Cleaner and wipe using horizontal strokes on one side and vertical strokes on the other. Polish with newspaper for a dirt-resistant finish. When washing windows, do so on a cloudy day, sunlight will dry them too quickly and cause streaking. Some glass cleaners contain wax which leaves a residue behind. Until the wax is removed, it will constantly smear. We were frustrated with harsh-smelling glass cleaners that left surfaces cloudy and streaked, so we created our Glass & Mirror Cleaner. 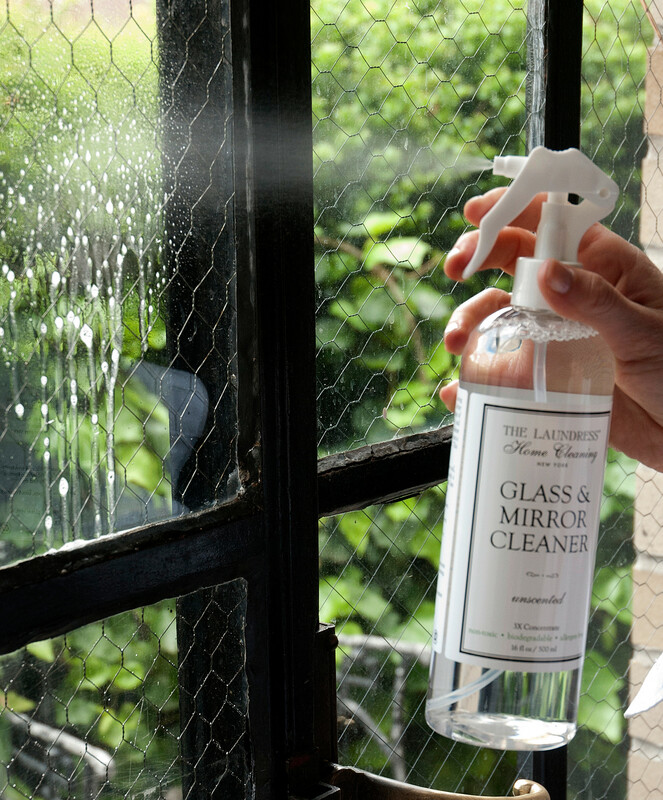 This nontoxic, unscented formula combines a high concentration of active ingredients, leaving windows, mirrors, and other glass surfaces clear, shiny, and free of residue. A few sprays will improve your entire outlook. Literally. Unscented for use with all Laundress products.